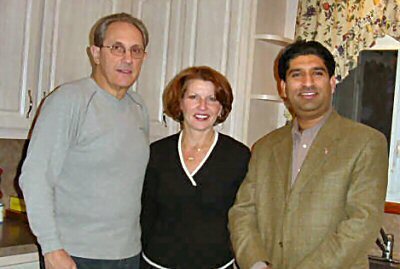 When we decided to sell our home on Staten Island, we interviewed few real estate agents to help us.That is how we met Dil Gillani.Hiring Dil was an excellent choice.Because of his skills and aggressive marketing approach,we sold our home in "TWO WEEKS". But that was just the begining.He guided us through the entire process,until the final sale.We always knew we could depend on Dil to take care of every detail.We highly recommend Dil Gillani as a skilled professional and a fine gentleman. Stop here, If you are looking for a truly hard working, honest, caring and knowledgeable real estate agent look no further. I know I had 3 others plus myself with horrible consequences. Gillani Homes sold my house in 2 months and in the worst real estate market in decades. My real estate selling tale would take a book to tell. Briefly before Dil I became bitter,angry and disillusioned by the real estate games I encountered. Dil worked diligently 7 days a week to sell my house, with appropriate photos, signs, open houses and connecting with others in his field. He knew how and when to price right. His biggest strength is in savey negotiations. (something I wasn't good at when I was For Sale by Owner.) Dil watched over all aspects of the sale, giving particular attention to insure qualified buyers. I thank Dil for listening to my tears and anger with others in an honest attempt to sell. Dil is one in a million. I just wanted to say thank you for everything. In you, I not only found an excellent,hardworking realtor but a friend. I was undecided in the beginning if this journey of selling of my house on Staten Island is even what I really wanted, and you stood patiently by. You never pushed me to put the house on the market but you did speak to me as a friend and helped me realize that it was too much house for me to handle.In the entire time that I have known you, you have made wise decisions and wise suggestions, regarding the sale of my house.I am very happy that I chose you to handle this real estate deal.I trusted my instincts with you.I interviewed a half a dozen realtors but you were sincere and genuine in your initial approach and then your follow through, that really means a lot when you are dealing with people.When I moved out of state you took on a lot more than most would have.I appreciate all that you have done for me, especially now that I have finally closed on my house. I am sad that I have sold my link to Staten Island NY but it was for the best and you did very well getting me a great price. Thank you. Elizabeth Cienki, Saint Pauls Ave.
After 5 years living at my house on staten island, I decided to sell it and move. It was a very difficult decision for me, because it was the first time I was selling a house.The first thing I did was to bring five different real estate agents on staten island to compare their qualifications. I listened and asked questions to all the agents. It was time to select the real estate agent that will sell my house. It was not hard at all to pick Mr. Dil Gillani over the other four agents.Mr.Gillani's presentation was exceptional. 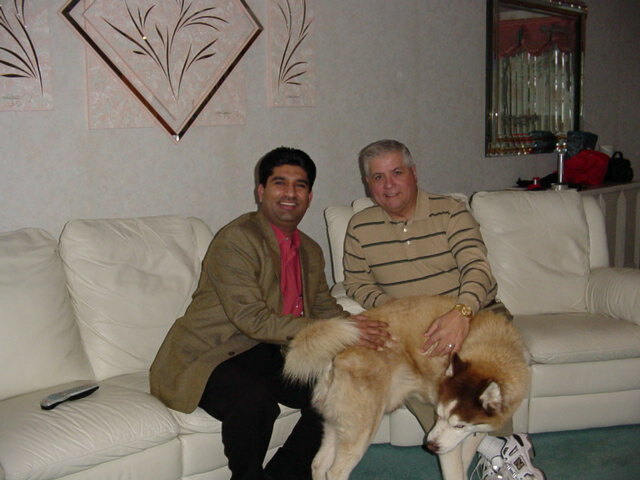 Mr.Gillani showed me the great knowledge that he has of staten island as a real estate consultant .He came to my house fully prepared with all the anformation to share with me about selling a house. In the past, I had made some bad decisions, but with Mr.Gillani no doubt I made the right one. Dil's dedication and professionalism to his job and his clients is remarkable. Thank you Dil for a great job. 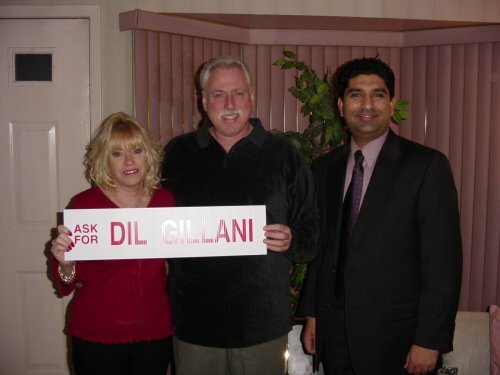 I just wanted to write a few words of appreciation for your staff member Dil Gillani.From the very first day that I met with Mr.Gillani he had made me feel like I was his first priority.He went out of his way to calm my many fears about selling my home on Staten Island after 40 years. He answered all my questions even if they were a little silly.He always kept in communication with,stopped by the house to explain to me step by step everything that was going on.He shows respect and is courteous which in this day and time seems to be forgotten virtues.I will highly recommend Mr.Gillani to anyone I hear that is thinking of selling their home. This letter is to inform you that prior to Dil Gillani my house was listed with YHD,FOXTONS.They spent a total of 6 months trying to sell my house. while I was searching the internet for a real estate agent on staten island, I came across www.GILLANIHOMES.com.I made a call and spoke to Mr.Dil Gillani and explain my situation. within a couple of hours we came up with a game plan and he started a very aggressive marketing campaign that blew anything away I had ever seen. Within a month I had an offer on my house and I was amazed by how he negotiated on my behalf and fought for every dollar. I could not have wished for a better realtor. He changed my mind about the whole industry in a positive way. I want to thank you for the excellent job you have done on my recent home sale. I have worked with plenty of agents before,although always on the buying end,and you are the first I have been pleased with. The discount agents very nearly lost a house for me due to their neglect. The full service agents were concentrating on their commission and not on what I specifically stated I wanted. I had interviewed with other real estate agents on staten island before choosing you to help me sell my home in Mariners harbor, staten island. none of them came across nearly as knowledgeable as you did, and as our dealings went on , I saw your professionalism repeatedly. You are honest, more than competent, and 110% reliable. I have a level of confidence in you that I had not imagined feeling.Handing over such a "responsibility" as awsome as the "sale of my first home" to someone else wasn`t easy for me...but, you minimized that apprehension and made my journey into the unknown as stress-free as possible. I would recommend you to my family and friends without hesitation. First off my wife and I would like to wish you the best of luck on your new real estate business, Gillani Homes on Staten island. From my experiences working with you I can, without doubt, feel that you will prosper. Now I must take a moment to express my gratitude and appreciation for all you have done for me and my Mrs.over the years. From when we first started out back in 2001 you handled the sale of our condo in heartland village for us and also the purchase of our new home in westerleigh. Your expertise, honesty, professionalism and aggressiveness in your job left me astonished. In all our real estate dealings I always found you to be so hardworking, enthusastic and diligent in your job.For this I commend you whole-heartedly. Your taking control of each problem (few as there were) left me with confidence and relatively nothing to do except sit back and enjoy the ride. I not only feel you are a business associate but a friend. Thank you for being there for us. It goes without saying that whenever I or any of my friends require real estate services or expertise, you will the first person I will call. I would like to take this opportunity to commend the professional and caring attitude of your real estate salesperson,Mr.Dil Gillani.He has demonstrated a caring and cooperative attitude that has made selling our house less traumatic. He is an asset to your organization and a true professional in every sense of the world.With our deepest gratitude, my family will always remember his kindness and consideration. Again, thank you for this experience and the pleasure of doing business with a gentleman. It is with great pleasure that I write this letter.Thank you so much for your professional help in selling our home on Staten Island. We realized how difficult it was to sell our home on our own so we decided to enlist the help of a real estate. After interviewing five (5) real estate people, you being the 5th, it was very obvious to us who to pick. you stood head and shoulders above the rest. You priced our home correctly and sold it in 3 weeks. We realized it was a one of a kind home and you handled the situation perfectly. We were completely satisfied with the results. In this world of non -professionals it is always a pleasure to do business with a "REAL PRO"
We wish you all the success in the world and if you are ever near Ocala, stop in and visit, you are always welcome. I was very hesitant about using a real estate agent to sell my house on Staten Island.I wanted to get as much equity out of the house as possible. After talking to several agents,I knew that Dil Gillani would be the person to do the job.Not only did he sell my house in "3 DAYS",he got me a higher price than I expected,especially if I would have tried to sell it on my own! His professionnalism and integrity were wonderful.He took care of all the details for us. 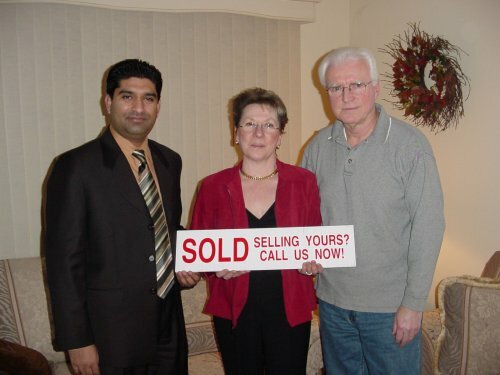 I would recommend Dil Gillani to anyone who is thinking of selling their home. Thanks for everything Dil,what a wonderful experience! SOLD FOR 100% OF ASKING PRICE. My house was listed with another agent for four months and there was no activity.The agent was doing open houses every weekend and we had no offers and no interest from buyers.We couldn't understand what was going on since my house was in great condition. 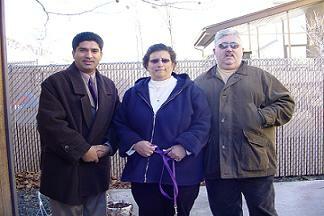 We decided to change the agent.I found Dil Gillani through an ad in the real estate magazine on Staten Island and visited his websitewww.GillaniHomes.com, that was loaded with free information.After speaking with him I found him very knowledgeable and honest,we decided to hire him as our realtor. He listed my house with the price that was based on his market analysis. He sold my house within a couple of months for the full asking price. Thank you Dil for selling my house, I wish you were my first broker. What can we say about Dil Gillani? He marketed our home tirelessly and took advntage of every method available to get it noticed by potential buyers on Staten Island. Dil was very energetic and did not rest until he was satisfied that he had been able to secure the best deal for our home. Would we recommend DIL to sell your house? You BETCHA! Thanks, Dil for your hands on approach, great effort and skillful dealings!